Look for Autographs, Shirt Relics, Mat Relics! Raw, SmackDown LIVE, NXT and WWE Legends! Look for Dual Autograph Cards! Find KISS CARDS from Your Favorite Divas! 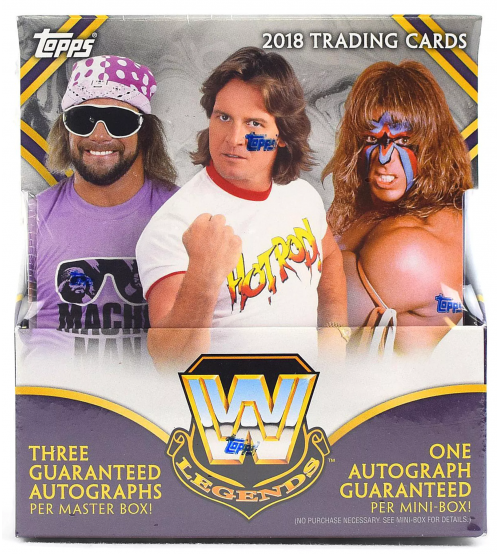 Each Box contains Two Hits! Look for Autographs, Shirt Relics, Mat Relics and More! 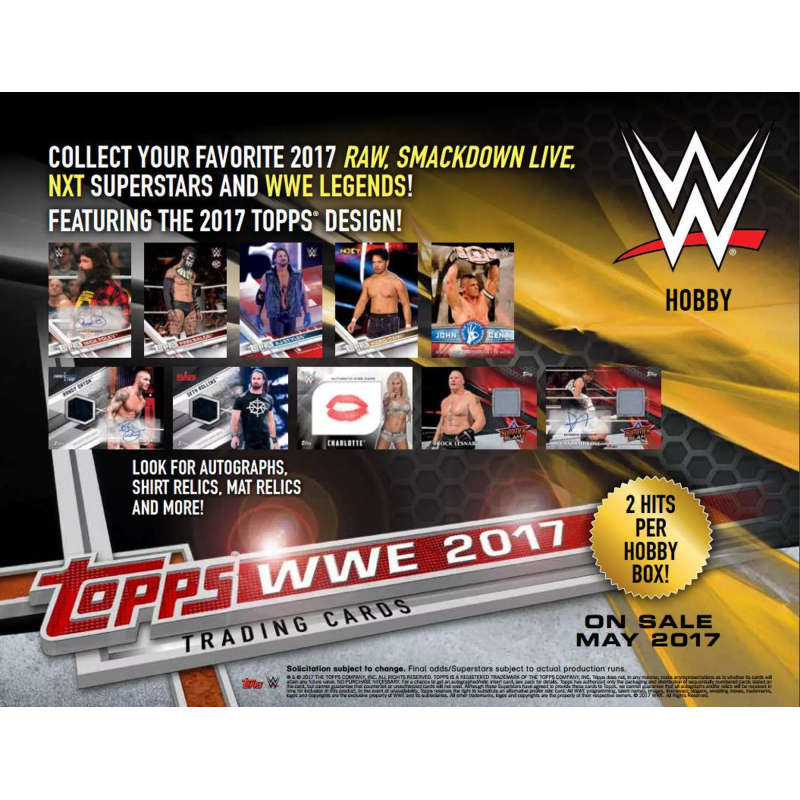 100 Raw, SmackDown LIVE, NXT and WWE Legends Base Roster Cards! All-new Rookie Cards and 1st NXT Cards! 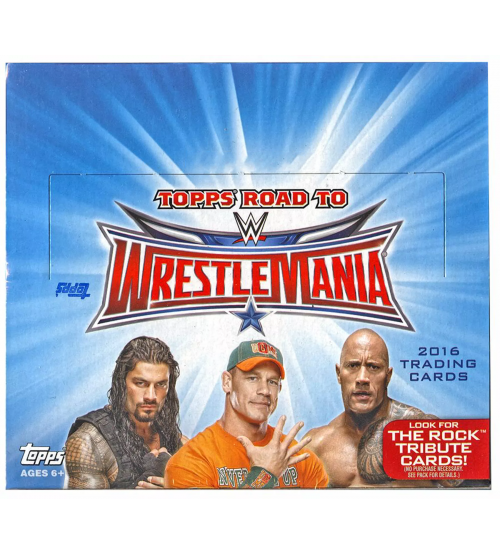 The second set of 10 cards celebrating 15-time World Champion John Cena! 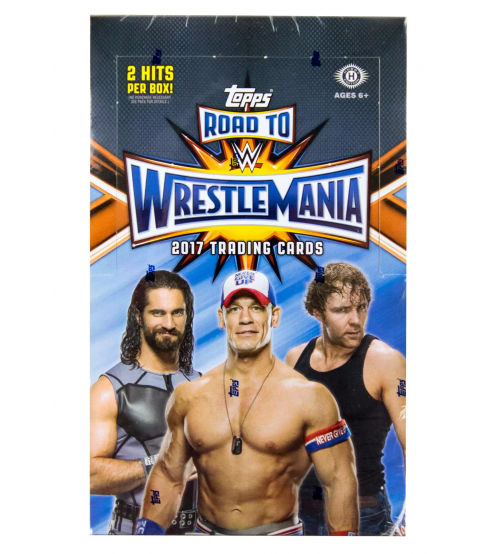 Find 30 other cards spread over the other three major Topps WWE trading card releases in 2017! 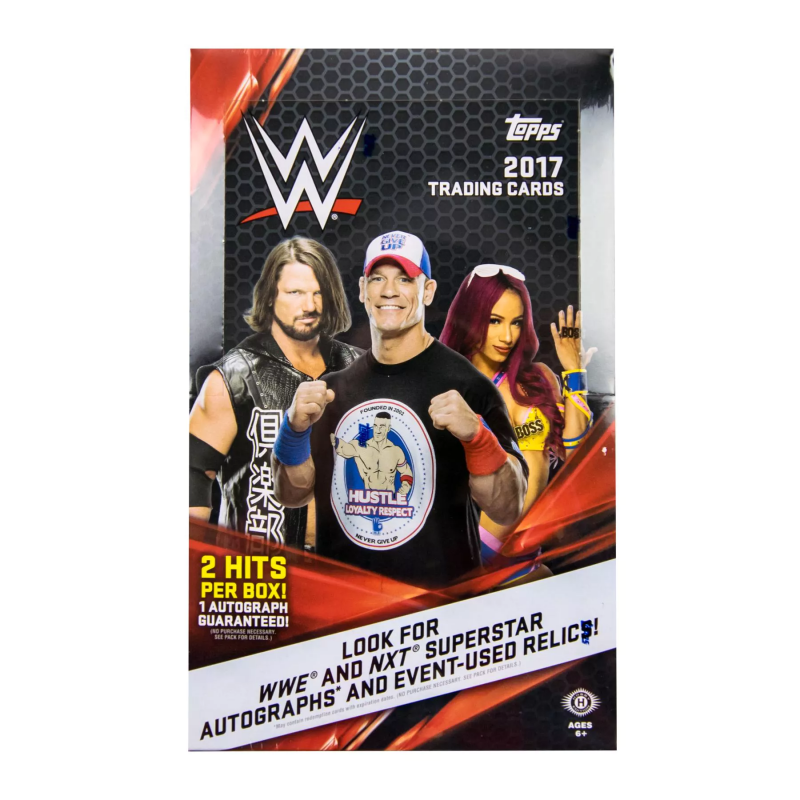 Autographs of WWE Raw and SmackDown LIVE Superstars in both the Men's and Women's Divisions, WWE Legends, Rookies & NXT Prospects! Autographs of two Superstars on one card! Sequentially numbered to 10. 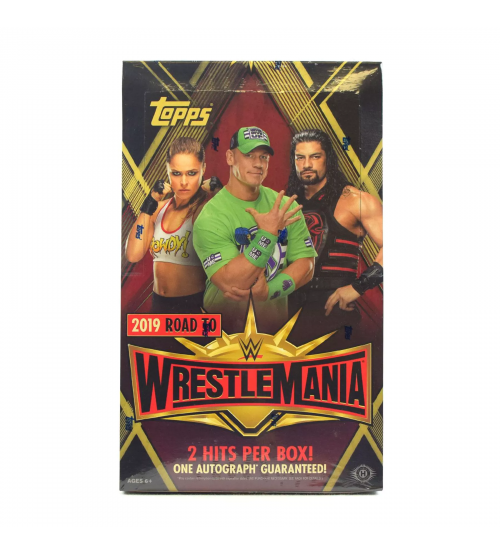 Featuring lip stain kisses from the most popular Superstars in the Women's Divisions of WWE & NXT! Sequentially numbered to 99. With autographs signed directly on the kisses! Sequentially numbered to 25. Featuring autographs & Superstar-worn clothing from WWE & NXT! Sequentially numbered to 10. SummerSlam 2016 Mat Relic Cards: Pieces of the event-used SummerSlam 2016 canvas mat! Cards featuring recent Champions, with eight different WWE Championships to collect! Featuring autographs from WWE Superstars and pieces of the event-used SummerSlam 2016 canvas mat! Sequentially numbered to 10. Brooklyn II Mat Relic Cards: Featuring autographs from NXT Superstars and pieces of the event-used NXT TakeOver: Brooklyn II canvas mat! Sequentially numbered to 10.